Join my online workshops to discover more about learning piano. Each workshop is approximately 1 hour in duration and is held LIVE online with replays available for a limited time after the event. A live chat feed is active for the duration of the workshop for discussions and you can let me know your questions for the Q&A at the end! These workshops are FREE to join and participate but registration is essential! See past workshops below and sign up to receive your invite to the next one! Sign up for your invite! Reading music is an invaluable skill and one I definitely recommend working toward, but it should not be the highest priority. Just as we learn to speak and understand our native language before we learn to read and write, we need to understand music before learning traditional notation. To compare traditional lessons vs. online. How to identify your goals as a pianist. Choosing a path to achieve your goals. How to set yourself up for success. Some pianists seems to just sit at a piano and play something, ANYTHING and be able to play it effortlessly. This is NOT just for the specially gifted! This ability can be LEARNED! And YOU can do it! By building the right group of skills you can learn to play the piano so that it seems natural, it seems like you are not even trying, or just "going with the flow" but you know that you simply followed a roadmap there. The next workshop will be announced shortly! The topic will be chosen from the most popular questions received through Piano Picnic social media. 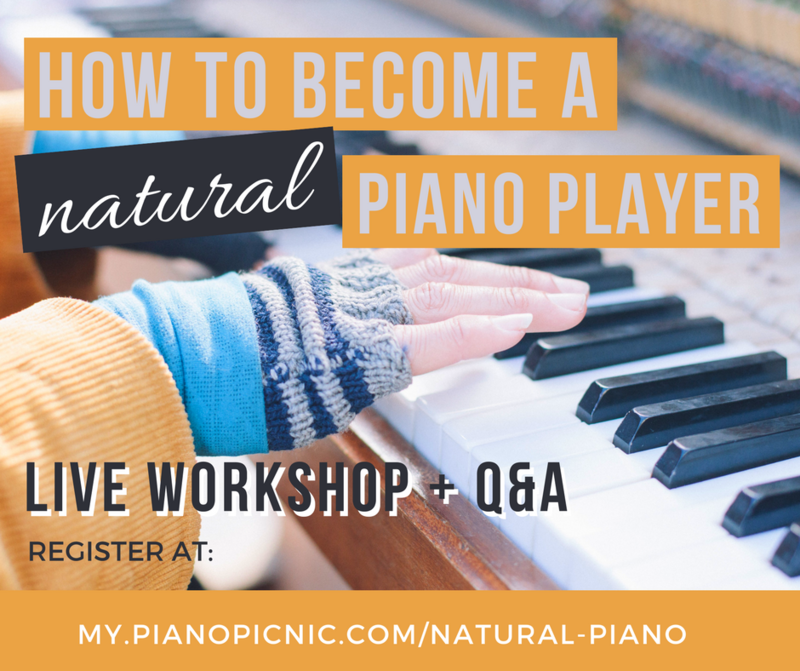 Register below to receive your invite and get to any Piano Picnic social profile to send me your question! (Links below).